Asseylum Vers Allusia's half-sister. The two princesses share the same paternal lineage, but have different mothers. She hates her royal heritage and even though she knows she's only a tool to activate the Aldnoah Drive, she continues with her mission since it makes her feel useful, befriending Slaine. 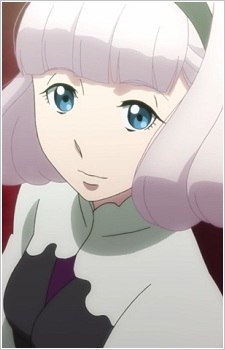 She also pretends to be Asseylum in a message that urges to continue the war, with only Inaho suspecting she's an impostor. Lemrina is a shrewd girl and is familiar of how Vers Empire's politics works. She is a good actress and manipulator, and keenly aware of her social standing and usefulness only as a tool to activate Aldnoah. She rarely shows her true nature to others.